Practicing eye safety while playing sports is critical and can help keep you in the game. And, by ‘sports eye safety’, we mean wearing protective goggles. Ninety percent of all sports-related eye injuries can be avoided with the use of protective eyewear. Polycarbonate lenses are 10 times more impact-resistant compared to other materials, so this is the best type of lens to wear for sports. 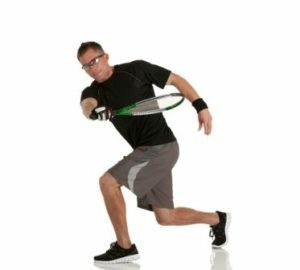 This is especially important for those sports with small, high velocity balls in play such as racquetball. Contact sports also have their share of eye injuries. Getting elbowed in the eye playing basketball, for instance, can cause a lot of damage. The sports with the highest risk of eye injury are baseball, basketball and racquet sports. The above symptoms could be a sign of a more serious injury, possibly requiring surgery, and should be evaluated immediately by an ophthalmologist. You only have one pair of eyes. Keep them safe by wearing protective goggles during sports and stay in the game!